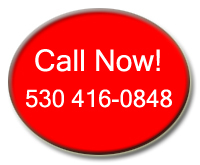 There are many excellent and unique destination wedding sites dispersed throughout Northern California, and if you’re quest for the ideal spot takes you in the neighborhood of legendary Lake Tahoe, an exemplary site exists on an overlook situated atop Heavenly Mountain, a world-class ski resort that’s nestled among the spiraling peaks of the Sierra Nevada Mountain Range. With panoramic views at an altitude in access of 9,000 feet, the Blue Sky Terrace is an enthralling wedding venue possessing amenities that will impress marriage aspirants beyond every expectation. Heavenly Mountain Resort’s Blue Sky Terrace yoking adventure begins at the gondola base located in Heavenly Village where a six passenger gondola car will race you and your guests up the towering Sierra Nevada mountainside, which entails an approximate fifteen minute journey and an ascension of over two miles. 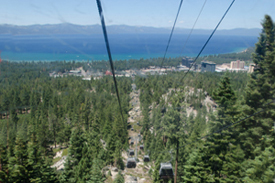 The electrifying ride displays picturesque landscape as far as the eye can see. Lake Tahoe’s 72 mile circumferential shoreline is fully exposed, and the colorful vividness of the water is an arresting scene. Disembarking the gondola at the midway station leads you onto the Observation Deck where additional sights of grandeur await. Maneuvering across the platform brings you to a path that takes you to the lanai, and as you step onto the platform of the overlook that comprises the Blue Sky Terrace, you’ll feel as though you’re on top of the world. Elements of all terrace wedding packages include exclusive use of the venue, appetizers of choice, alcoholic beverages, a PA system to play your personalized music for your wedding march down the aisle and for toasting speeches after the ceremony, chairs for your guests, and a bridal party changing area. You’ll also receive gondola tickets for everyone attending the ritual that will allow passage to the wedding site. The phenomenal background available for the photography during and after the formality is another super nicety that will also play a vast role in your event. 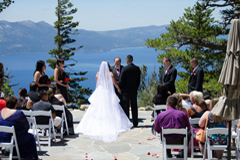 With a volume of quality and a plethora of favored attributes, the Blue Sky Terrace at Heavenly can positively be regarded as one that will match the finest of ceremonial venues that a search will ever produce for a destination wedding in any given locale, and this is most certainly true if the pursuit is narrowed to Lake Tahoe. 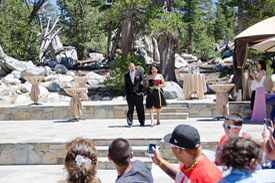 With rousing views of the largest alpine lake in North America in a setting of surrealistic appeal, your special day on the overlook at celebrated Heavenly Mountain Resort is surefire to be an experience unlike any other.